Ace Couture 22″ wheels on this classically-styled 2011 Range Rover HSE not only look great but adds to the off-road luxury style with custom rims. This 5-liter V8 pushes out a 375 HP that can launch this Rover to 60 in 7.1 seconds without modifications. Read our positive reviews on Google Plus, Ebay, Yelp and other online directories. Looking for Ace Alloy Wheels that are in stock? If you order today we can ship tomorrow, for more information give our experts a call today to get your wheels and tires package at 1-909-869-5681. Wheels & Tires shop in the city of Pomona, Nitrous Garage, was visited by Lamborghini’s best selling car model ever. The Lamborghini Gallardo, sporting Asanti AF122 custom painted wheels, is a true exotic car with a light weight chassis made of alloy stampings, casting and extrusions. Without modifications this 500 plus horse power luxury sports car can go zero to 60 in 4.0 sec. For more information give our experts a call today to get your wheels and tires package at 1-909-869-5681. RoadForce RF007 22″ wheels utilizes the latest rim technology, with CNC machine tools and coating equipment for the finest finishes available in the auto industry. These wheels look elegant on this BMW 740Li, for more information give our experts a call today to get your wheels and tires package at 1-909-869-5681. Savini BM12 Wheels are composed of a one-piece single block aluminum, machined face over black finish, a seven-spoke concave wheel that brings practicality for daily vehicles like this 2012 Porsche Panamera. With these machine face over black wheels and tires, the Porsche Panamera is luxurious sport. Give our experts a call today to get your wheels and tires package at 1-909-869-5681. Savini BM9 Wheels are composed of a one-piece single block aluminum, with offsets custom tailored to your sporty luxury sedans like this 2012 Cadillac XTS. With these Matte Black wheels and tires, the Cadillac XTS displays a mixture of elegance and sport. Give our experts a call today to get your wheels and tires package at 1-909-869-5681. 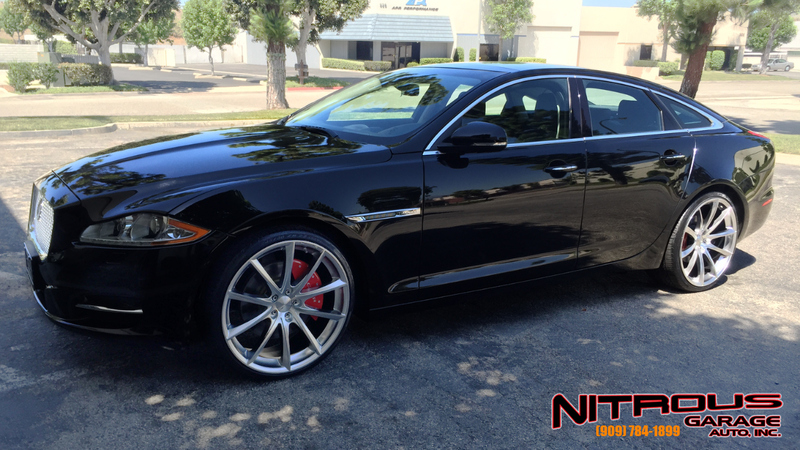 Ace Convex Wheels are car specific and designed to fit sporty luxury sedans like this 2011 Jaguar XJ. The staggered setup gives the Jaguar a look that will get attention on the road. Give our experts a call today to get your wheels and tires package at 1-909-869-5681. New Year, New Wheels! Who’s Ready for 2015?